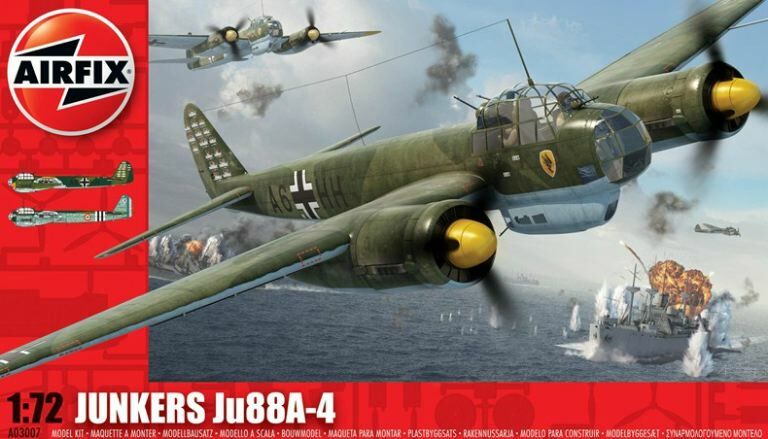 The Junkers Ju88 served with the Luftwaffe throughout the Second World War, proving itself to be a capable and versatile aircraft, used in all manner of roles from bomber to night fighter. As an anti-shipping aircraft, the Ju88 proved to be very effective, both in the North Sea and the Mediterranean. Able to bomb both in a dive and level flight, the Ju88 was later used in small numbers by the Free French forces, flying captured examples. Armament: 4 x 7.92mm machine guns and 6,614lb of bombs.